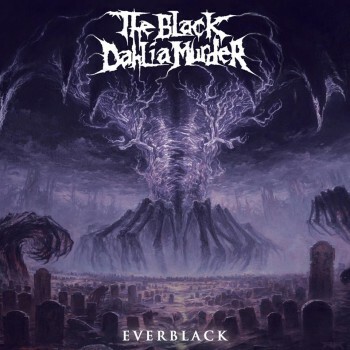 Recently Trevor Strnad, frontman for The Black Dahlia Murder, conducted an interview that could do nothing but heighten the anticipation of longtime fans for their upcoming release Everblack. 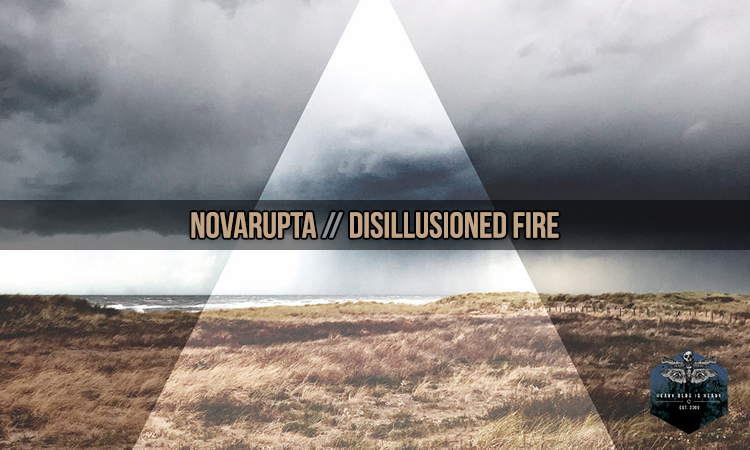 Paraphrasing, Trevor stated the album’s name and content was an artistic rebuttal to the speculation that the band had “changed direction” as a result of participating in this year’s Warped Tour. After thorough investigation, Trevor stated his case correctly. Everblack is a rebuttal to said speculation — the sixth studio album Black Dahlia Murder fans wanted. That is not to say that this album does not come without artistic experimentation though. To begin, the imaginative cover art filled with the rich purple hues and other-worldly landscape is different from any previous Black Dahlia album. Everblack shares similar creative differences with its musical content as well. Most notably, Everblack arguably contains the most breakdowns in a Black Dahlia release thus far. These breakdowns are tasteful, as opposed to your teeny-pop breakdowns found on Warped Tour. They slither and chill through your bones crawling down your spine until you find yourself with nothing left to do but headbang. Consider what’s found on Into The Everblack as a song in its entirety and you’ll have a good idea of what’s found here. If the idea of more breakdowns troubles you, don’t worry; Everblack is a death metal album at heart. Drummer Alan Cassidy, previously part of Abigail Williams, is completely on par here with relentless blast beats. While not only showcasing Cassidy’s fantastic drumming, ‘Every Rope A Noose’ is a great representation of a two-step chorus in a death metal context. The execution is flawless. Guitarists Ryan Knight and Brian Eschbach work great together with bassist Max Lavelle creating subtle grooves through blasting shreds over rumbling bass lines in songs like ‘Goat of Departure’ and ‘Control.’ Fans since Unhallowed will appreciate ‘Phantom Limb Masturbation’ as it is the spiritual successor to the overall tone found on Miasma. Specifically the first minute of the song drips with the second album’s thunderous atmosphere. But it’s Knight and Eschbach’s grooves and screaming solos that elevate the remaining minutes past Miasma fair. Ominous intros and outros, such as the sound of a train on ‘Phantom Limb Masturbation,’ serve to build a chilling energy while seducing your interest to the lyrics. Should the listener want to have a glimpse of the murder the Black Dahlia are named after, the lyrics found on the first track ‘In Hell Is Where She Waits for Me’ will bear particular interest. Based upon speculation from the cinematic re-creation and the little information available, the lyrics bear too strong a resemblance not to be related. Trevor confirmed as much in Decibel’s track by track run down. In addition, this track demonstrates noticeable improvements in Trevor’s vocal range by contrasting his vicious highs and more audible lows. Everblack is like a great movie sequel, one of the Black Dahlia’s most focused works to date. Similar to Coheed and Cambria’s last two releases, each song has its own unique individuality that by the end makes the album feel memorable and complete. Everblack will consume those looking for a hauntingly catchy death metal album that remains as playful as it is heavy.